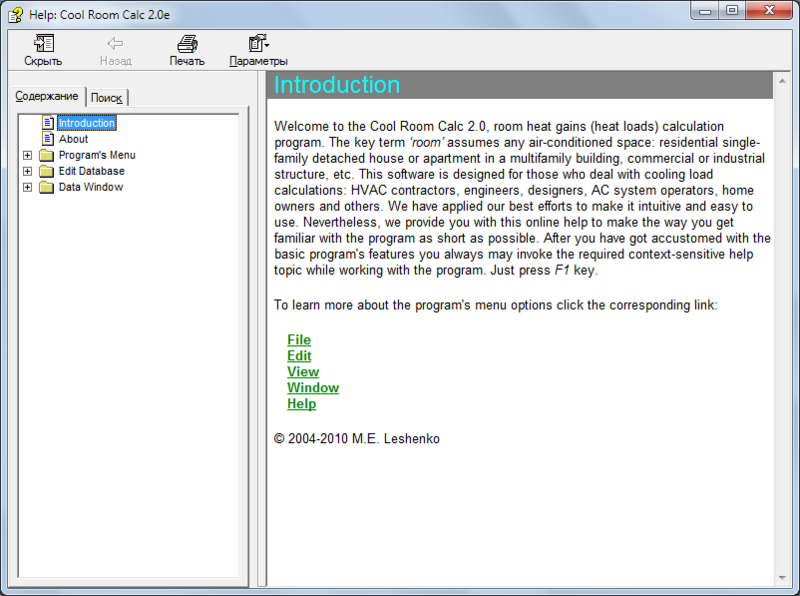 This computer program is designed for air-conditioned room cooling load calculations. 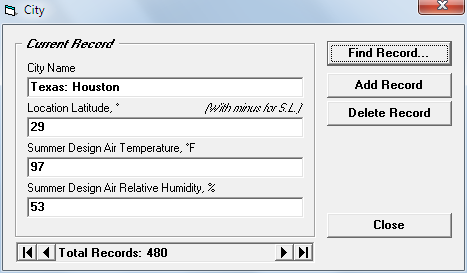 It requires a minimum of input data to be entered, that are sufficient for most frequent tasks occurred in practice. 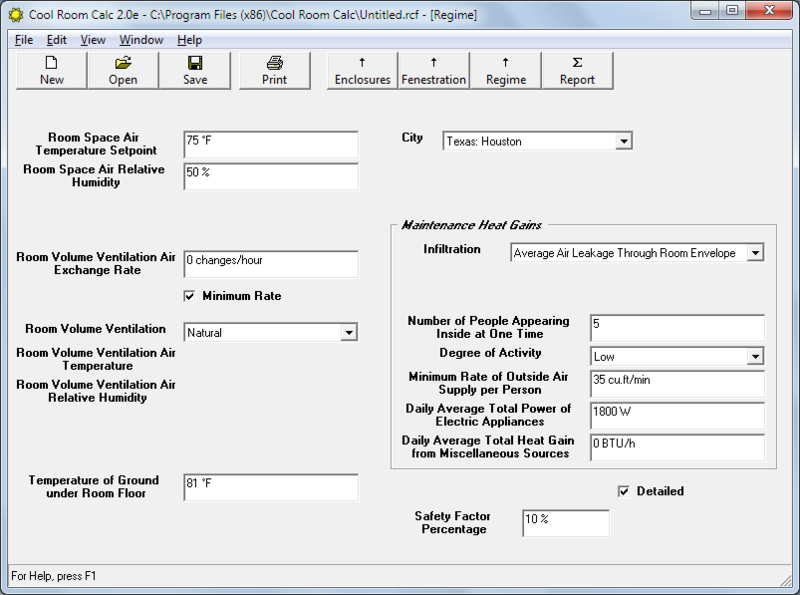 The program can be used both by professionals and non-specialists in the field of air conditioning technology. 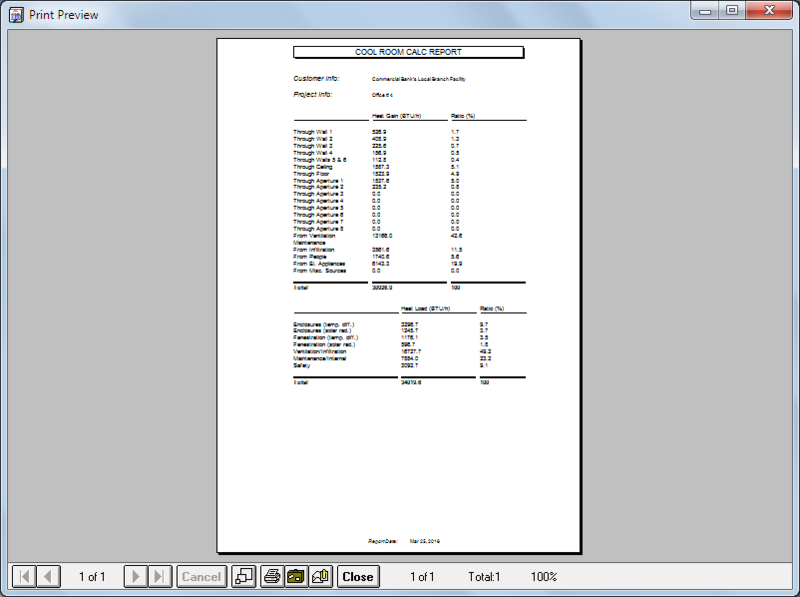 The program works with dual units of measurement (SI and I-P). 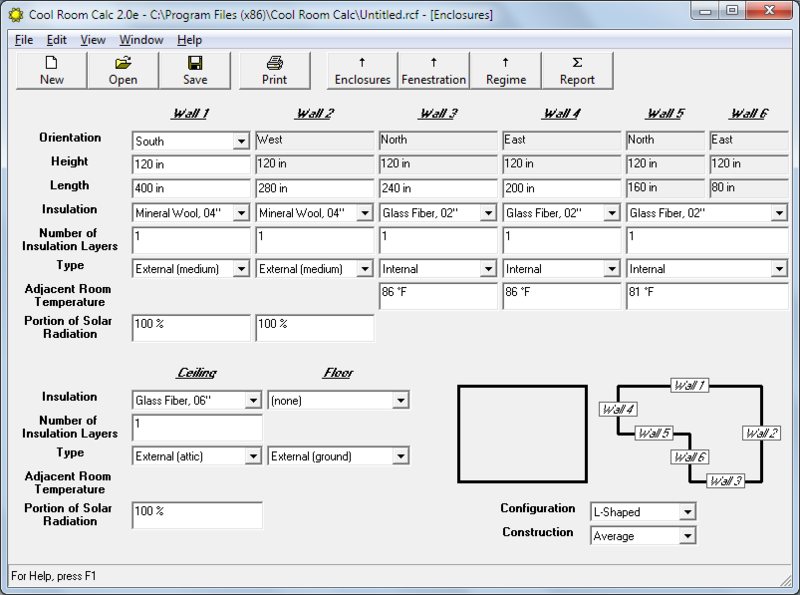 The program is supplied with the databases on elements of construction heat insulation, types of fenestration products and climatic characteristics of different geographic locations. The entries in these databases can be easily added, deleted and edited by the user. 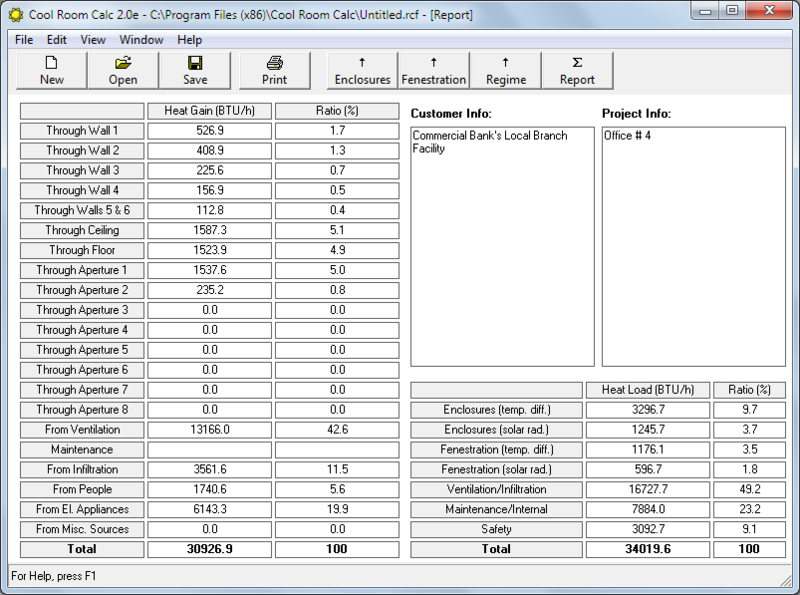 The output of the program's work is a table of heat gains into air-conditioned room from separate sources, their ratios and also the total heat gain, as well as a table of heat loads grouped by source categories and their total including safety factor. 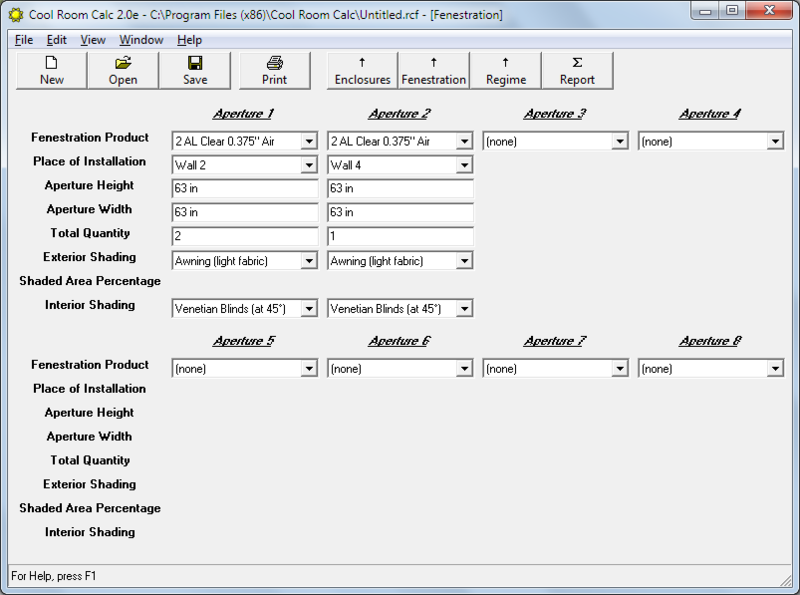 The program allows to enter information about the customer and the project, as well as to get on paper or in electronic form a printout with the calculation results. There is a comprehensive context-sensitive help file.